Two high-powered offensive forward lines: check. An NHL draft pick: check. A future first-round NHL draft pick: check. Yes, on paper the Victoria Grizzlies check all the boxes that are needed for a championship season, including the latter two which very few other B.C. Hockey League teams can match. And the Canadian Junior Hockey League agrees. In the first national rankings of the season, the Grizzlies come in at No. 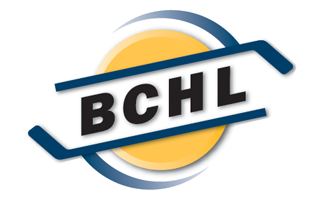 11, the second-highest ranked BCHL team in the top 20, behind only the Penticton Vees, who start the season as the No. 1 ranked team in the country. But Grizzlies general manager and head coach Craig Didmon knows all too well, hockey is not played on paper. 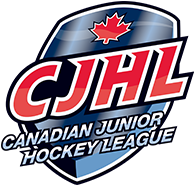 “We’re very happy with our group at this point in time,” said Didmon, whose club doesn’t play on BCHL opening night on Friday, but begins the season on Saturday night in Powell River against the Kings. Didmon has no worries here, as 20-year-old Kurtis Chapman returns, coming off a strong finish to last season. The Airdrie, Alta., native will have to carry a heavy load, however, at least until Christmas after fellow standout netminder Zack Rose, 19, had off-season shoulder surgery and will miss the first half of the season. Rookie Keenan Rancier, a local product who played last season with Okanagan Hockey Academy in Penticton, however, has looked good in the preseason, winning both games he started. “Chapman got better and better as camp went on and obviously we are going to ride him early and that’s a good opportunity for him to turn some heads as a 20-year-old goalie,” said Didmon. Some might say this is the Grizzlies weakest link, with just Carter Berger, Cole Noble and Nico Somerville back from last year’s squad. But Berger should be ready to be an elite offensive defenceman in the league and is likely weeks away from securing an NCAA Div. 1 scholarship for next season. The North Vancouver product had 10 goals and 24 assists in 56 regular-season games last year, but really came to life in the playoffs, picking up eight points in 12 games. Somerville should also improve his offensive numbers, while the 20-year-old Noble brings a veteran stay-at-home presence to the blue line. But the best defenceman in the preseason was Montreal product Jeremie Bucheler. He’s big — six-foot-four, 185 pounds — and mobile, and loves to jump up in the rush. “We do have some young guys on the back end who have to prove themselves,” said Didmon. Top to bottom, the Grizzlies might have the best forward group in the league. Led by captain and reigning BCHL rookie of the year Alex Newhook, the Grizzlies have two great offensive lines and should get production from the third and fourth lines as well. St. John’s N.L., native Newhook, expected to be a top-10 pick in next spring’s NHL draft, had 66 points in 45 games a season ago, and likely would have won the BCHL scoring championship had he not missed the last month due to injury. He’s taller and bigger than he was last season and should challenge for the scoring title once again. Of course, it doesn’t hurt the 17-year-old that he’s flanked by two highly skilled wingers. Cam Thompson returns for his third season and after leading the team in scoring in last year’s playoffs, this could be the year Thompson cracks the top five in league scoring. On the other wing is newcomer Riley Hughes, who is coming off such an impressive season in U.S. high school hockey that the New York Rangers picked him in the seventh round of last spring’s NHL draft. He has also committed to Northeastern University of the NCAA. The second line is anchored by two guys with the same last name. Brothers Alex and Charlie Campbell come west from prep school hockey in Quebec and bring flashy, offensive skill that should be a perfect fit for the BCHL. They are joined by veteran winger Ryan Nolan, whose six-foot-two, 185-pound size and speed should help create room for the brothers. Third-year forward Marty Westhaver, and former Victoria Cougars scoring star Darwin Lakoduk help make up an impressive third line, while second-year players Jordan Guiney and Lach Hadley give the fourth line some bite. “I feel like we got four good lines,” said Didmon. The Grizzlies open against what should be another good Powell River team, this time under new head coach Tyler Kuntz. The Kings have Neal Samansky, Josh Coblenz, Ben Berard, and goaltender Mitch Adamyk back from the team that knocked out the Grizzlies in the Island Division final last season. Cowichan Valley and Alberni Valley get things started on the Island with the Bulldogs visiting the Island Savings Centre in Duncan on Friday night. Then the Caps head to Frank Crane Arena on Saturday night for the Clippers’ home opener.